Well the “eagle landed” on September 12, 2016 in the cool of the early morning hours. The ~ 4tons of clone 7 Cabernet Sauvignon grapes were hand-harvested by the vineyard team and whisked a short distance from Block 6 of Vittorio’s Vineyard in St. Helena to the winery. 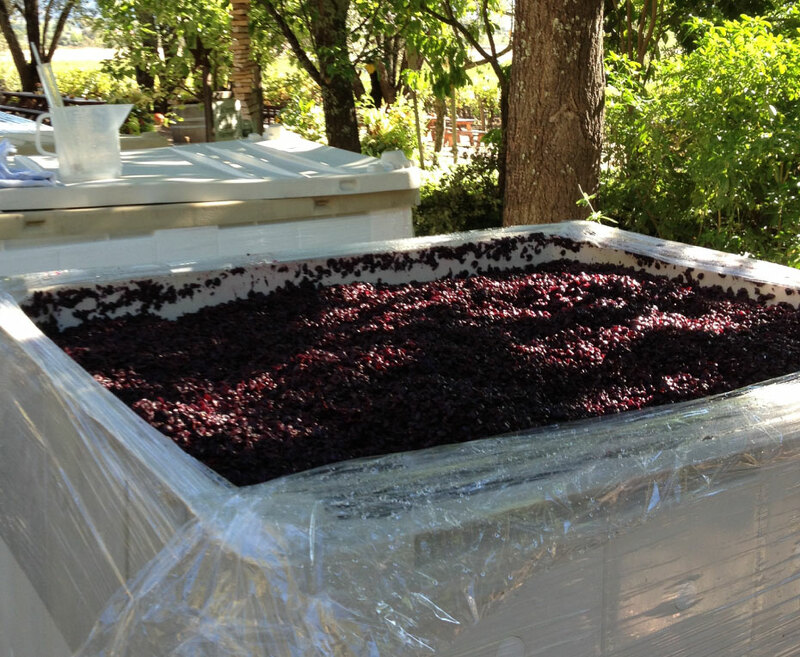 Once at the winery we weighed each bin and got to hand-sorting the clusters on the conveyor belt. We removed any M.O.G. (material other than grapes) and fruit that doesn’t meet our requirements. The clusters then made their way to the destemmer where the berries and stems are separated; berries to “T-bins”, stems to the compost pile. We use “T-bins” as our fermentation vessels and meticulously monitor the fermentation in each bin separately making adjustments, as needed, to keep the yeast “happy” and doing their job. The fruit in each bin is punched down by hand twice daily to equilibrate temperature and to extract color, tannins and aroma compounds from the Cabernet Sauvignon berries. One of the inspiring parts of winemaking on this scale is how all your senses are involved are with each fermentation – sight, smell, sound, touch and, of course, taste! Being an active participant in a wine “coming into being”, from the vineyard to when you first barrel it down is very satisfying creatively. Down the road it is even more fun & satisfying to share a glass with friends! This is a question that I have encountered my entire winemaking career. My response usually runs along the lines of, “When they are ready. 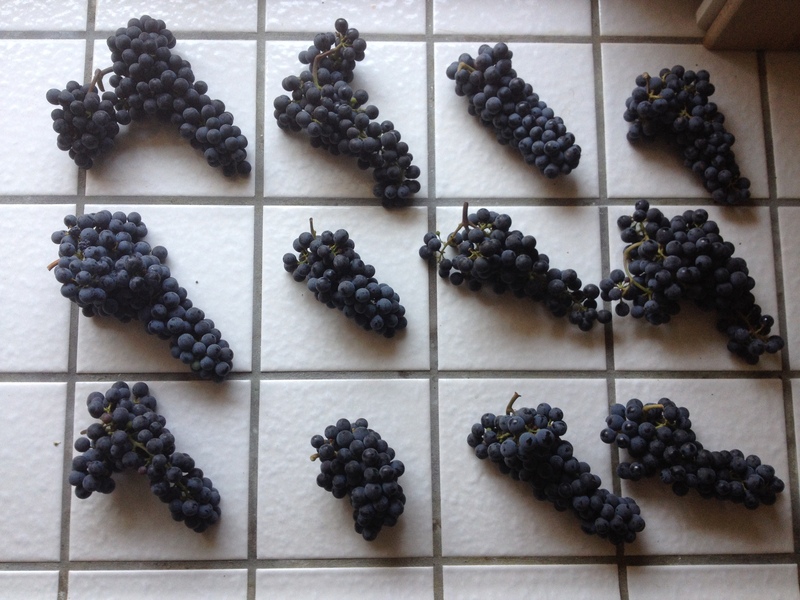 That, my friend, depends on the cultivar of grapes you are growing, the vineyard (& all that entails- location, soils, topography, microclimate, trellis type…) and the style of wine you want to make.” Knowing when to harvest is where science, art and intuition driven by experience intersect like Eulerian Circles. For Nicolette Christopher Cabernet Sauvignon the objective is to produce a wine with balance, elegance, purity & restraint so I make the harvest decisions accordingly. Depending on the weather conditions during the growing season I generally begin field sampling fruit in early August and run chemical analyses & some physical measurements to get a baseline set of analytics. Chris, Gracie and I will walk the vineyard rows every week to monitor the vine’s canopy, the integrity of the clusters, overall vine health and to taste the fruit. I will repeat field sampling clusters and use the results as a guide to assess the ripeness level of the fruit and corroborate the crop estimate. As we enter the end of August and get into the month of September keeping a close eye on the weather patterns, the availability of the vineyard team to harvest our fruit and fermentor space at the winery is on my “radar”. Being a winemaker during harvest is akin to being an air traffic controller –communication with crews both “on the ground” and “in the air” is crucial for a successful landing! 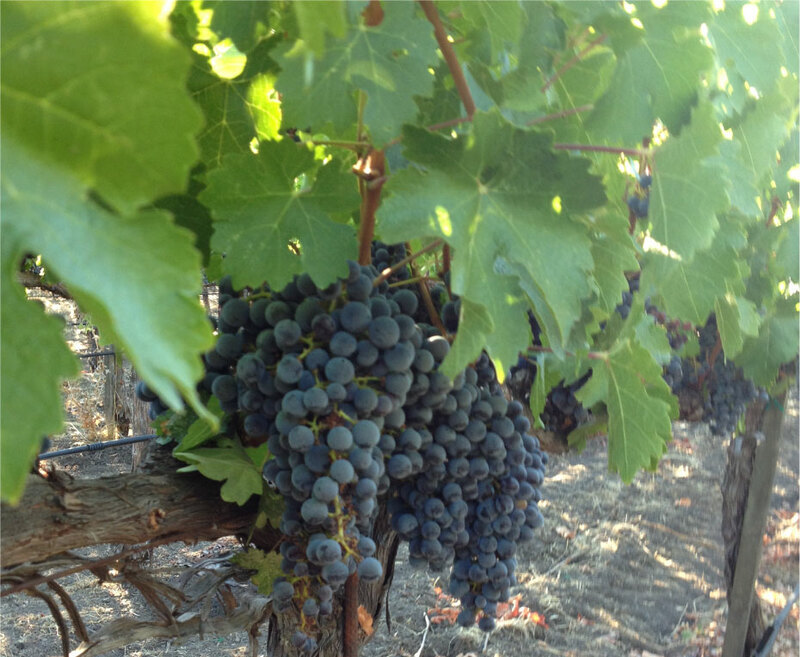 2016 is shaping up to be another great vintage in the Napa Valley. It looks like the grapevines are back to a more “normal” crop level, following on the heels of 2015’s lighter yield. A warm spring gave bud break an early jumpstart and the vines were off to the races. We had an ideal June and July – moderate daytime temperatures and cool nights, just what grape vines love! August has been cooler in 2016 so on the plus side the berries appear to be ripening more uniformly. What’s this, ripeness at lower sugar levels? Sign us up! 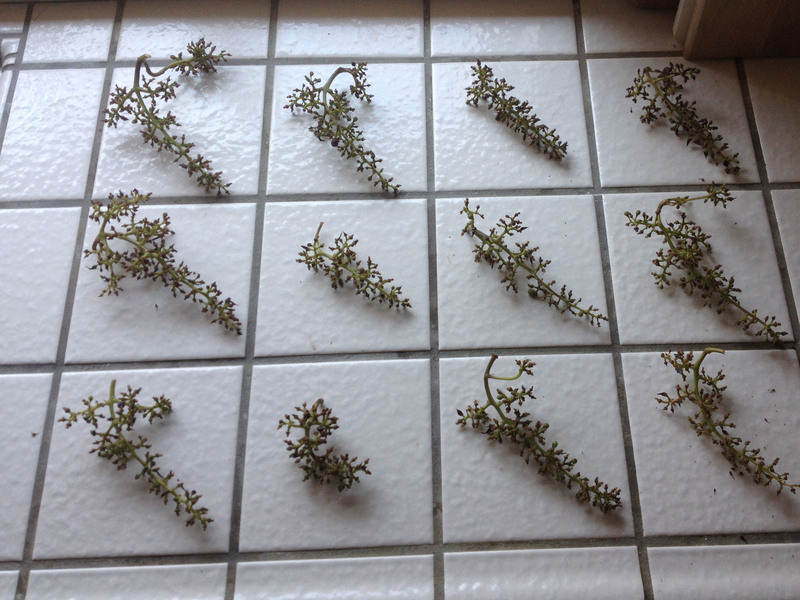 If all goes as I am reading the tea leaves, we are looking forward to bringing in our Cabernet Sauvignon grapes no later than mid-September. That is, unless Mother Nature adjusts the “batting schedule”!